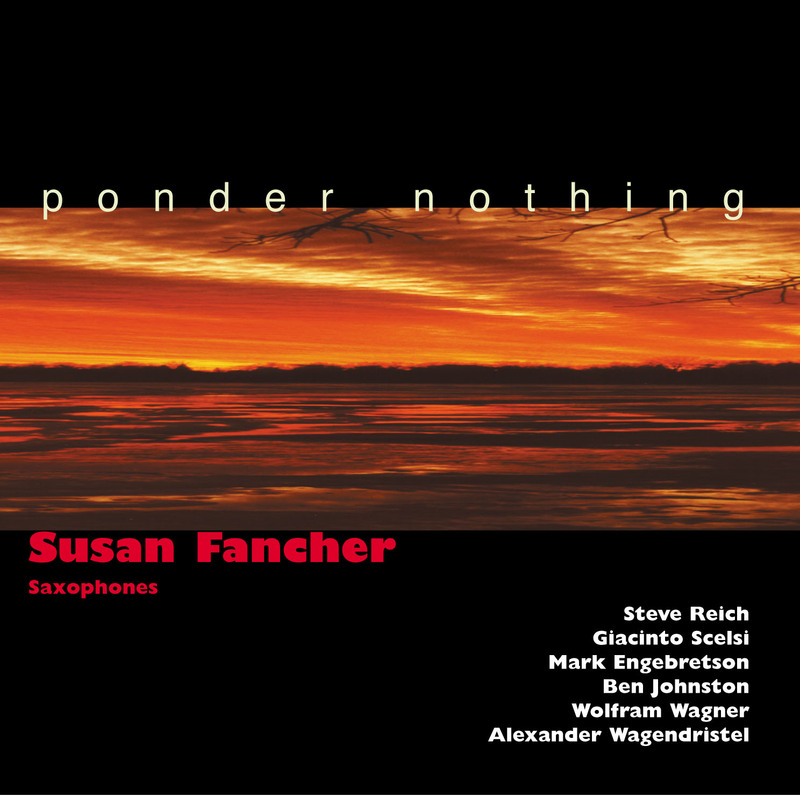 More of a Yo Yo Ma of the saxophone than a Jan Garbarek or Lisa Simpson, Fancher will make fans out of even the staunchest of saxophobes. Susan Fancher was more than just 25% of one of the best sax quartets around; the Amherst. Her clean, agile soprano tones bring a whole new dimension to these classics of the contemporary sax world. From her luminous overdubbed arrangement of Steve Reich’s minimalist classic New York Counterpoint to Scelsi’s shamanic wailing and Ben Johnston’s microtonal filigree, Fancher reveals her exquisite sense of line and solo artistry. Music both minimal, plaintive and expressive from some of the finest sax and non-sax associated composers.